Spring is a great time to visit the Disneyland resort. The weather is near perfect, most of the attractions are open and the park hours are longer than the off season. 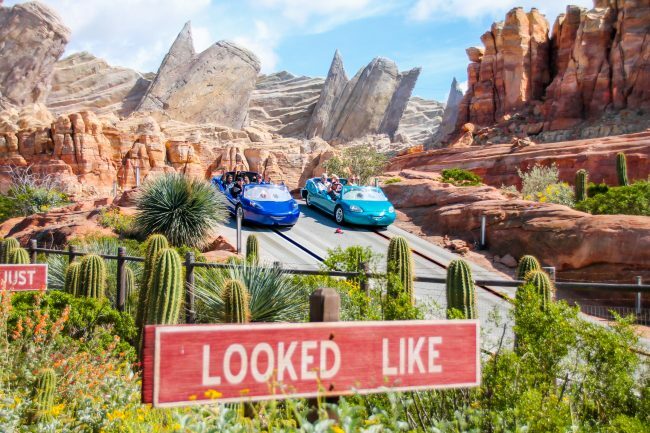 Even with all of the good things about springtime at Disneyland, if you are heading there during your spring vacation, there are a lot of things you need to know. 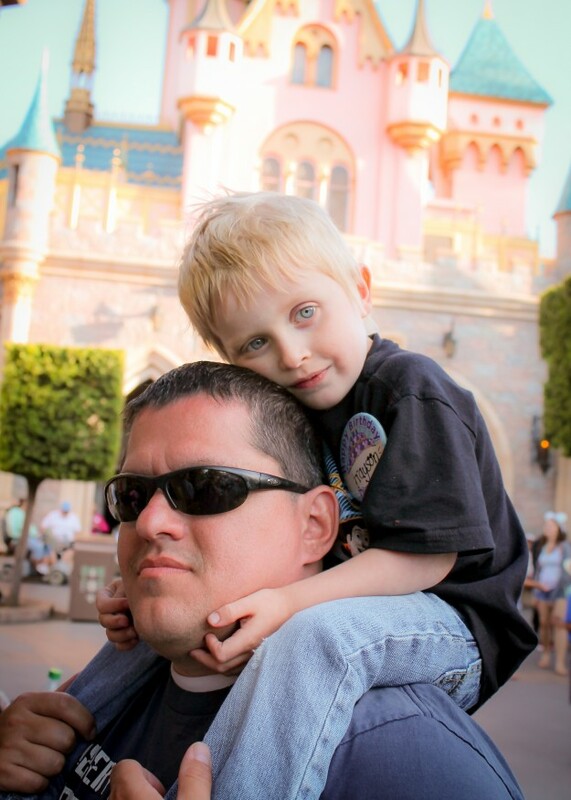 We have visited Disneyland during the spring almost every single year. The exceptions were 2015 because I had just had the twins and then 2016 we were on our year without Disney. Other than that we have gone every single year since the Goof was born. We have gone during the main “spring break” and we have even gone a few weeks before and a few weeks after. 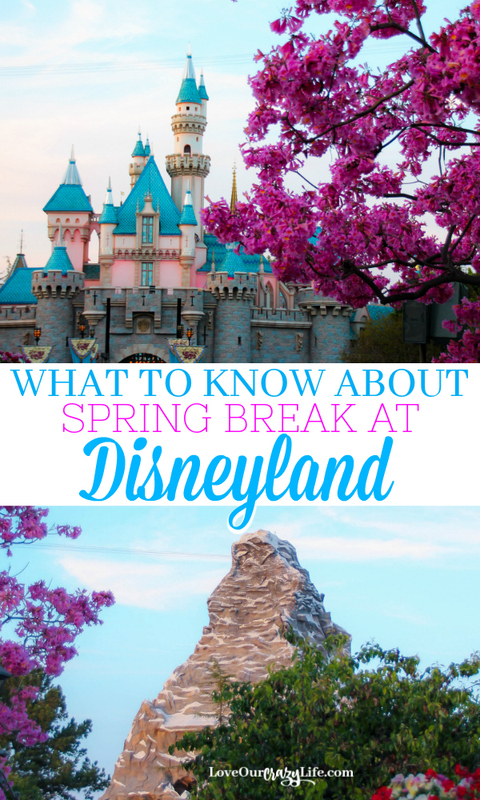 We have learned a lot during those visits, and now I am hoping I can share some wisdom with you, so that you can make the most of your visit this springtime at Disneyland. Park hours. Beginning mid-March Disneyland’s park hours extend to peak-season hours. Be sure to check the Park Schedule (here) ahead of time. Park schedules are posted 6 weeks in advance. Also be sure to listen to the announcements and check the guest services boards at arrival as we have had a few years where parks were listed as closing at 10 or 11, but because of crowds, the hours were extended until midnight. Crowds. Springtime at Disneyland is a bit crazy as far as crowds go. In fact, I have often found the spring break crowds worse than summer crowds. That doesn’t mean it has to ruin your vacation. First, you can check out our tips for surviving Disney’s on-season. 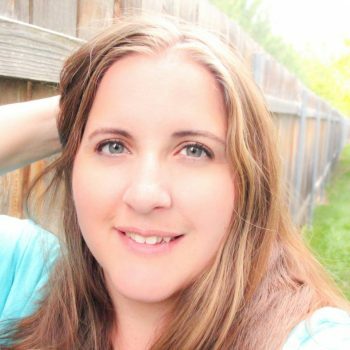 This has great tips on making the most of your days at the park with crazy crowds. Second, plan on breaking up your days. Go early in the morning (seriously, arrive BEFORE park opening, at least 30-45 minutes if possible) and then take a break around lunch time. Return during the evening and into the night. This will give you a rest, avoid the most crowded parts of the day, and also the hottest part of the day. If you drove, just be sure to keep your parking stub. When you return later that day, just show it to the attendant and you will not have to pay again. It might be tempting to look up spring breaks for the locals and try and base your vacation off of when they are still in school. It doesn’t make a difference. The majority of the spring break crowds are NOT locals. You will be better off planning by searching spring breaks for northern California, Arizona, Utah, and the North Western states. These will make up the majority of your Spring Break crowds. Also, most school districts in this area tend to have Spring Break be either the week before or after Easter, or they always do it the last week in March to the first week in April if Easter is later in that year. Because the majority of your crowds are non-locals, you may also find the weekends are actually LESS busy during spring break. Especially because the local passes, and even Deluxe Annual Passes are often blocked on the weekends, especially Easter weekend. Weather. Springtime at Disneyland is a little tricky as far as weather. While it is normally pretty mild, you may find the weather to be cool one day (maybe even with some rain) and hot the next. It may be cool as far as locals are concerned, but if you are coming from say, Idaho, you might find the park pretty hot. Either way, pack for a variety of weather conditions. Even if the days are hot, the nights can be quite cool once the sun goes down. I suggest packing some pants, shorts/capris, tees and a sweatshirt or sweater for the evening. Also be prepared for rain. Ponchos from the dollar store are a great option if you don’t want to spend a lot, but want something you can easily throw in your purse or park bag. As you can see from the picture above, we had some overcast days during this Spring Break visit. Plan on unexpected closures. Springtime at Disneyland is the first big on-season since Christmas vacation, and it is also the first few hot days of the year. Rides suddenly having to operate at full capacity in the heat will often have minor issues. Be prepared for a ride or two to shut down, even if not on the schedule. Sometimes they are back up within an hour or so, other times they end up closed for a day or more. Guest services can keep you updated on the ride status. Be Patient. Spring break is a bit trying for guests, but also for cast members. Again, this is often the first few busy weeks in over 2 months. Cast members will be having to figure out queue lines, stroller parking, and a lot more. Guests will be tired, annoyed by the crowds, and of course, off of their normal routines. If everyone has just a little extra patience this time of year, it can go a long way in making sure everyone has a magical time. Springtime Events. Springtime at Disneyland is not normally full of special events. One event that we hope will be happening again this year is the Egg-stravaganza. You can read more about it HERE on the Disney Parks Blog but basically it is a giant Easter Egg hunt in the parks. Pricing. On February 28, 2016 Disneyland (and Walt Disney World) introduced tiered pricing for one day tickets and increased prices for multi-day tickets. If are only visiting for one day you may be wondering how the tiered pricing will affect you. First, don’t get too scared. Not every day during the spring is “peak” pricing. In fact, peak pricing is mostly between March 18th and April 10th. After that your one day tickets are either value prices, or regular prices. For more information on the prices, you can check out the Disneyland App or website. There are a few things that you need to know about Springtime at Disneyland in 2018. From some major closures to limited time events, here are a few things to know about Disneyland for Spring 2018. Paradise Pier closure. In January 2018, Paradise Pier began the transformation to Pixar Pier. 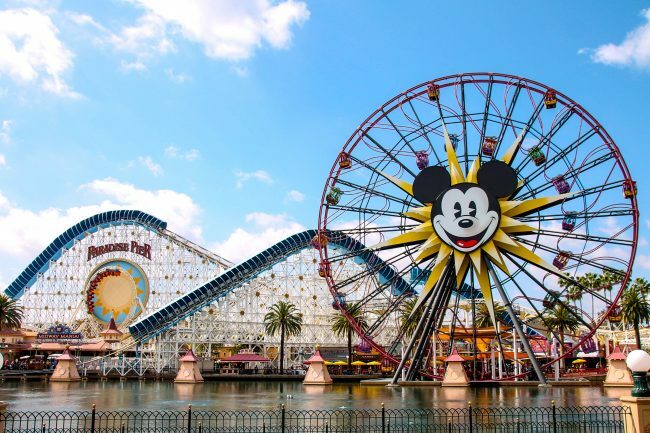 Because of this California Screamin’ closed to be re-themed as the Incredicoaster and Mickey’s Fun Wheel closed to add Pixar theming. The Cove Bar and Ariel’s Grotto also closed, along with other small shops and boardwalk games. The new Pixar Pier will probably open late spring or early summer of 2018. To go along with the Pixar Pier excitement… Disneyland Park will have Pixar Fest beginning April 13, 2018. This will include a new fireworks show, and the Pixar Play parade heading over to Disneyland Park. Paint The Night returns to the park on April 13, 2018 as well. This time at Disney California Adventure. My family loved this parade and we are excited to see it return to Disneyland Resort at its new home in DCA. You can read more about Pixar Fest on the Disney Parks Blog. 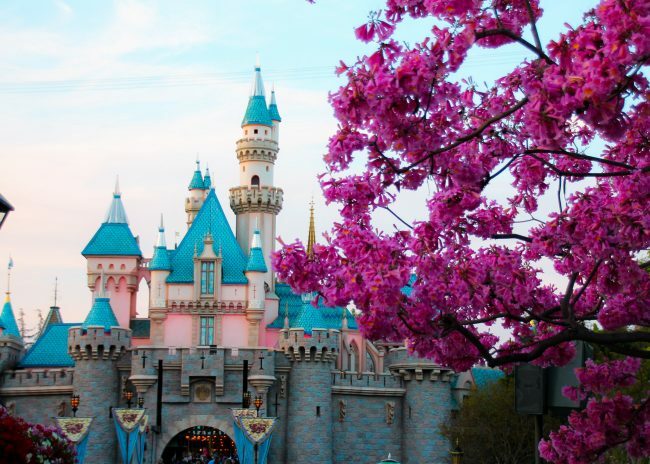 Are you ready to book your Disneyland Vacation for Springtime? We suggest booking through our friends at Get Away Today. You can book your vacation for as little as $125 with balance due 15 days before you travel. Plus, if you are booking a package for 2+ nights, you can use code CrazyAdventure to save an extra $10 on their already low prices. You can click the image below to price your vacation. 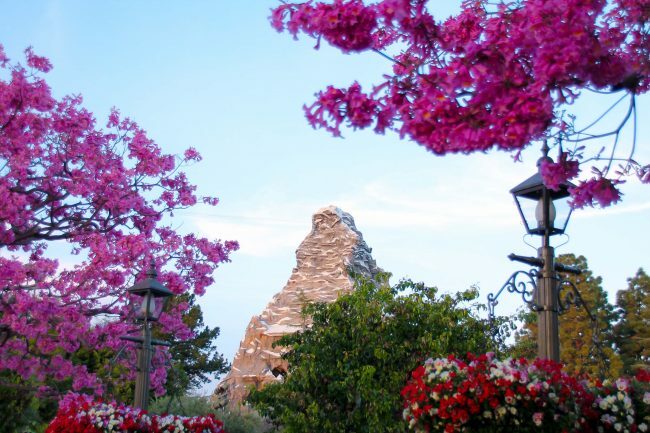 Will you be spending part of your spring at the Disneyland resort? What are you looking forward to the most while you are there? I haven’t been to Disneyland in the spring in ages – we always go in the fall or super-slow Jan/Feb winter season. I guess I need to plan a trip ASAP – looks like a great time to go! It’s funny, but coming from someone who has spent the majority of her disney-related time at Walt Disney World, the weather at Disneyland is always pleasant to me! 🙂 Great overview! Thanks for being honest about what to expect and how to manage through it. I can work with crowds and closure if I know about them. You are so right about the crowds during the spring! We always tried to shoot for late February, but dealing with the crowds is definitely still doable when informed about what to expect. We’ve only been to Disneyland once, and unfortunately, we were in Cali for another event so had to go when it was on, in the winter. It was unseasonably cold! Wish we could have done DL in Spring! We are contemplating going to Disneyland in 2018 either April 15th-20th or Sept 10-15th. Do you think the week days that third week of April will be crowds we can handle with a 2yo and 4yo? Or should we wait until Sept? The downside to Sept is that the park may have shorter hours, and some rides might be closed for Halloween refurbishments. Both are great times to go, but both have their downsides too. The April dates will still be fairly busy, and Pixar Pier will not yet be open. Pixar Fest will be happening during that time though. The weather should be nice too. September will see those closures, shorter hours, and the temps can still be extremely hot. Of those two dates I would probably choose the April dates. The crowds will be busier, but manageable, especially if you utilize MaxPass and the kids will love all the Pixar touches around the parks for Pixar Fest. 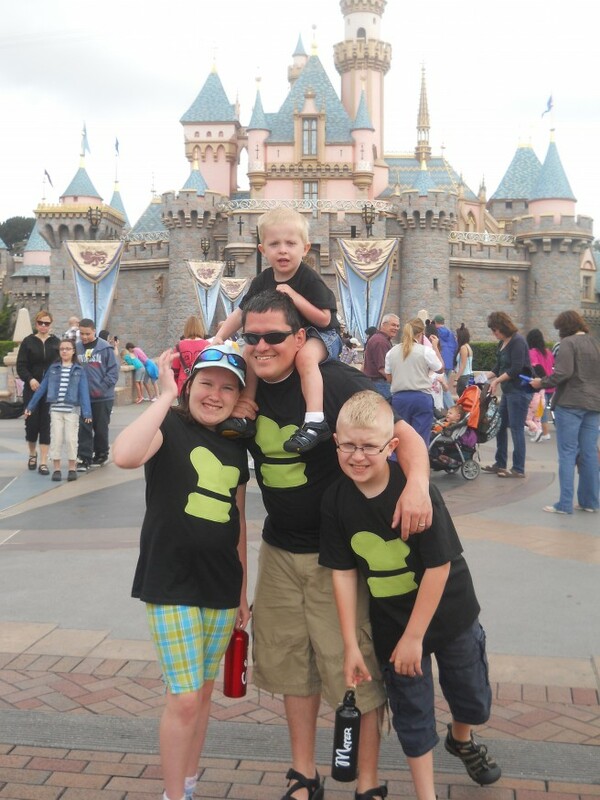 If you would like more DIsneyland help, be sure to check out our facebook group Disneyland With Kids.